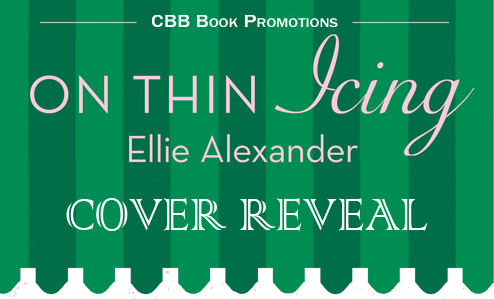 Today I’m excited to share the cover of On Thin Icing by Ellie Alexander! 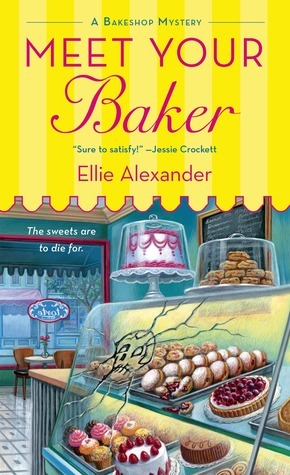 This is the third book in the Bakeshop Mystery series and releases December 29th, 2015. It’s the dead of winter in the sleepy town of Ashland, which means no tourists-and fewer customers-for Jules Capshaw and her bakery. 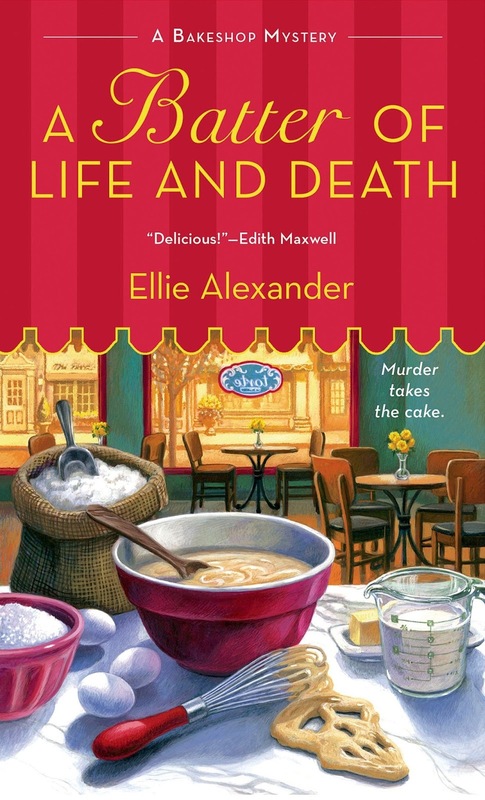 But when she’s asked to cater an off-season retreat for the directors of the Oregon Shakespeare Festival, business starts heating up…until Jules finds a dead body in the freezer. Someone at the retreat has apparently iced the bartender, a well-known flirt with a legendary temper-that is, before a killer beat him to the punch. Then, from out of nowhere, Jules’s own ex-husband shows up at the shop-and soon becomes a suspect. 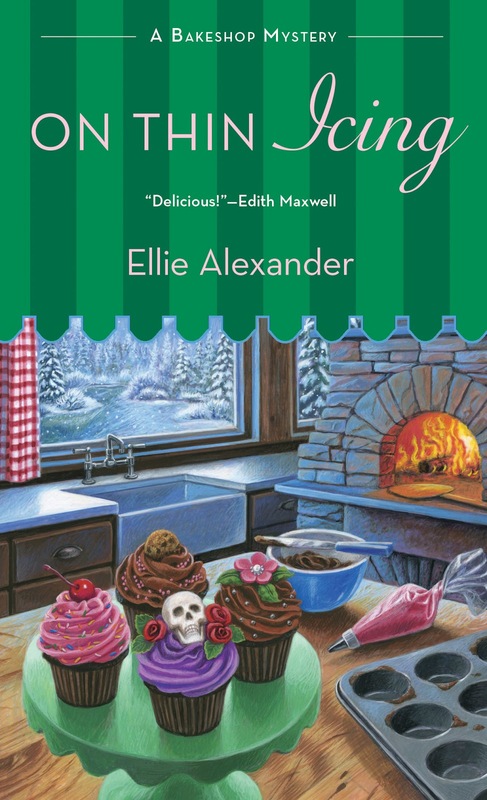 With accusations piling up higher than the snow-and thicker than a chocolate mousse cake-Jules has to think outside the (recipe) box to find the real culprit…and make sure he gets his just desserts. Don’t miss out on the first two books! Ellie Alexander’s books entice the reader from the front cover to open the book and start reading. 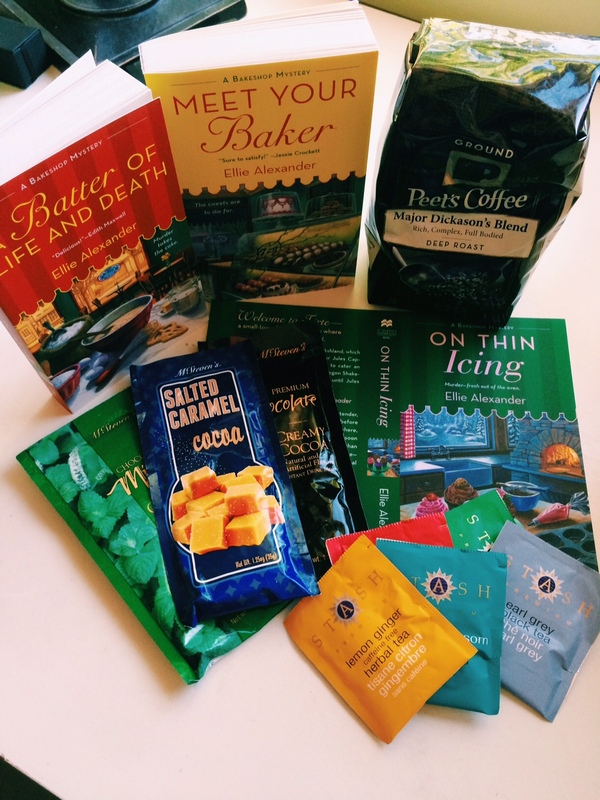 Thank you for the review and for hosting a giveaway. I agree! I’m so excited for this next one! Love this series:) Have been waiting for this one! The cover is great. Looking forward to another great mystery! Thank you, like this series and looking forward to reading the newest addition. That cover has me wanting to both eat and read. Thanks for the contest.